Honestly, I was never a big fan of bacon. I would much rather have sausage with my breakfast. However, since being gluten free and having to expand my fridge staples, I have tried to find more ways to use bacon because it is a safe food for me. I thought of this chicken recipe and was pleasantly surprised at how good it was! 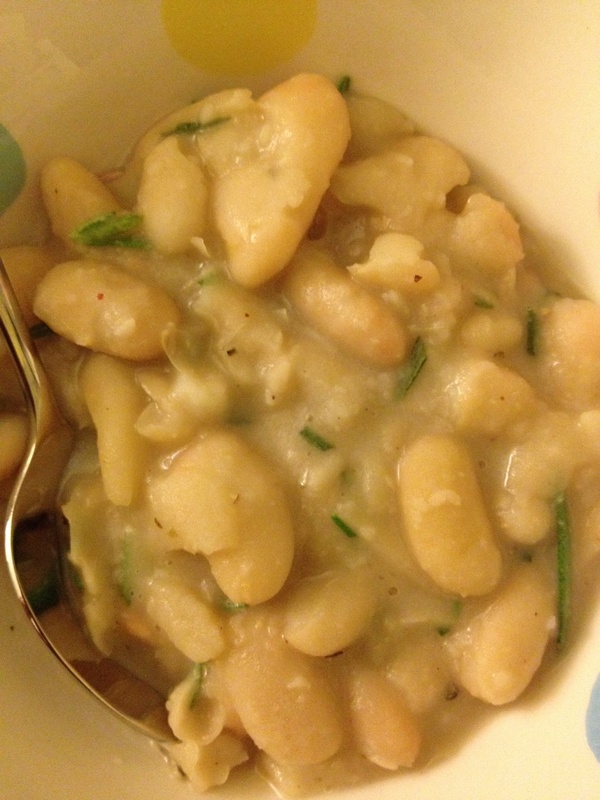 A great dinner idea for a cold night… and it is very easy! Sprinkle 2 tsp. dried cranberries on top of the goat cheese on each fillet. Wrap each chicken breast fillet with 2 strips of bacon to hold in the goat cheese and cranberries. Sprinkle pepper on top of the bacon strips. Bake at 375 degrees about 20 minutes, until chicken is cooked through. Every now and then you have to splurge with a little bacon, right? It makes the house smell great and it makes any meal taste better. 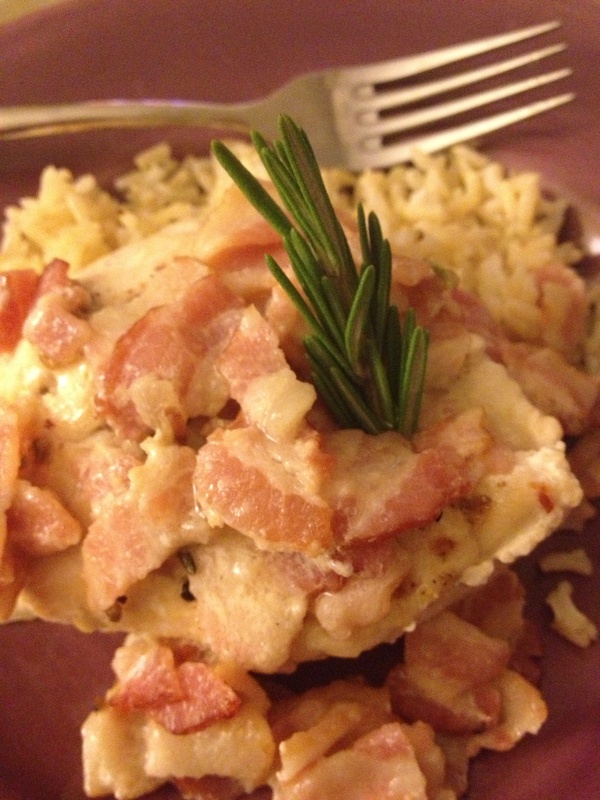 This week, I made a quick and easy chicken recipe with a rosemary, bacon, cream sauce. It was delicious! Hearty for these fall nights. 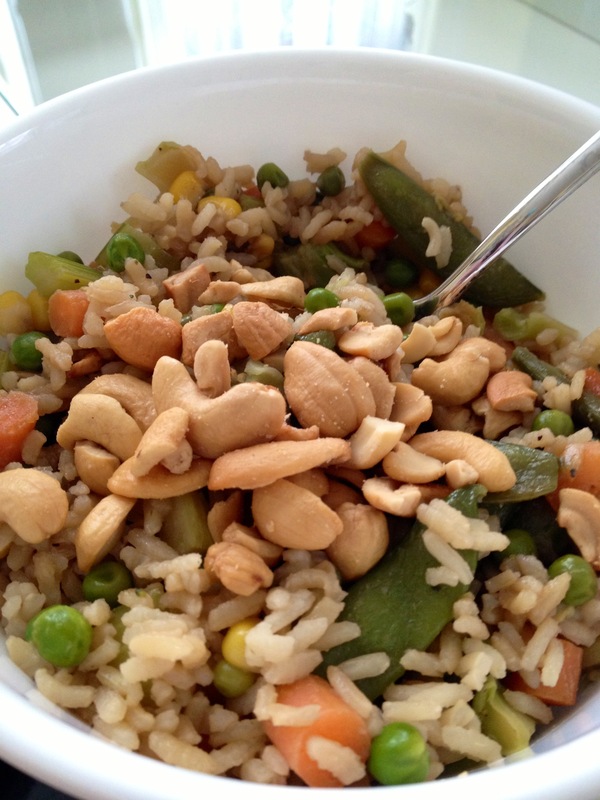 I put it over rice, but you could easily put it over quinoa or gluten free pasta instead. Cut the bacon into small pieces, maybe a half inch by half inch. Tip: I use kitchen scissors! In a large saute pan on high heat, saute the bacon until it starts to sizzle, but isn’t fully cooked (about 3-4 minutes). Drain the bacon fat and put the bacon bits back into the pan. Push the bacon aside and place the chicken breasts in the pan. 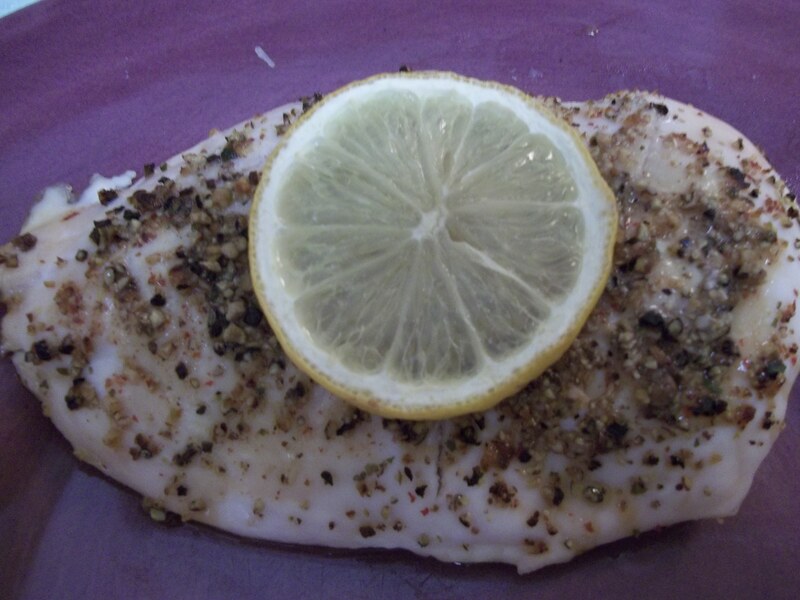 Sprinkle the chicken generously with pepper on both sides. Saute the chicken on high heat about 2 minutes each side, just to brown the outside. Turn the heat down to medium. Add the coconut milk and rosemary. Cover and let simmer until the chicken is cooked through and the coconut milk cooks off, about 15-20 minutes. You may take off the lid for the last few minutes. Serve hot over rice, quinoa, or pasta by adding the chicken and spooning a generous amount of bacon and sauce over it. 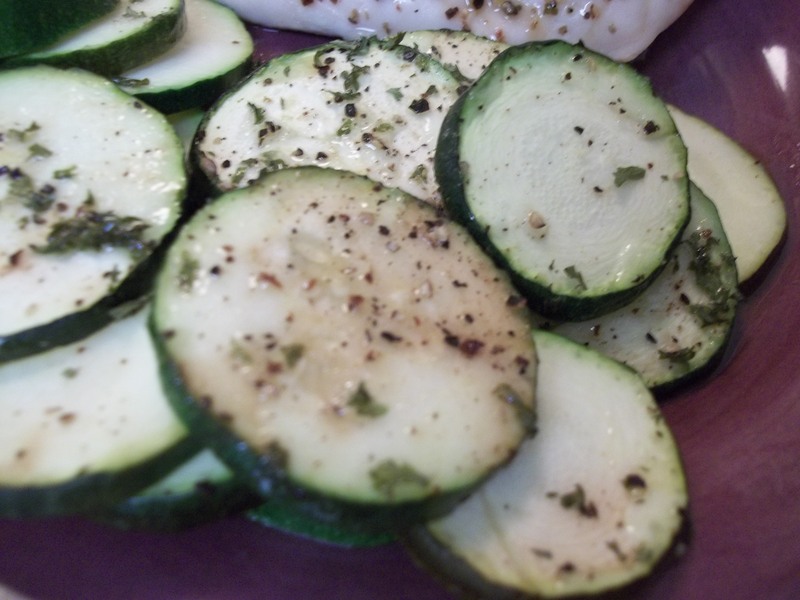 Garnish with rosemary. As I get ready to move, I wanted to make a meal that would have leftovers I could grab in the middle of box packing and unpacking. 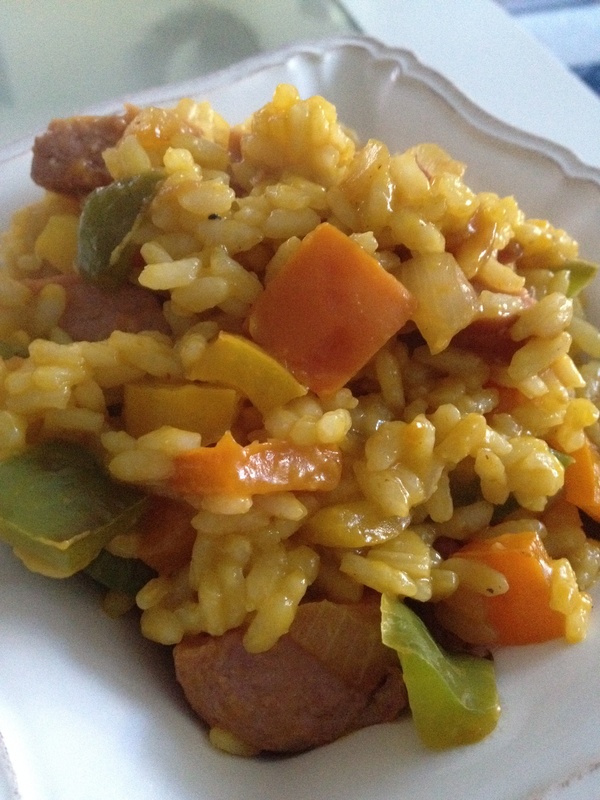 So I made a hearty Sausage, Pepper, and Onion Risotto and it was delicious! I used kielbasa sausage for a smoky flavor, and a few different peppers for a pop of color. Hope you enjoy… and I will be back in a couple of weeks or so once these boxes start moving and I can cook again! one (lite) kielbasa link, about 1 lb. Cook the risotto rice according to package directions. I toast the rice first in the pan for just a minute, then add salt and pepper. Add the broth about a half cup at a time over low-medium heat, until it is all absorbed and the rice is cooked. While the rice is cooking, chop the onion. Saute the onion in a pan with 1 tbsp. butter and 1 tbsp. olive oil. Add the sugar on top, and stir over low heat until the onion starts to caramelize. When the onion is just about cooked, add the chopped peppers and other 1 tbsp. butter. Continue to saute. When the peppers are just about cooked through, cut the kielbasa into bite sized pieces and add to the peppers and onions. Add the cooked risotto and stir.